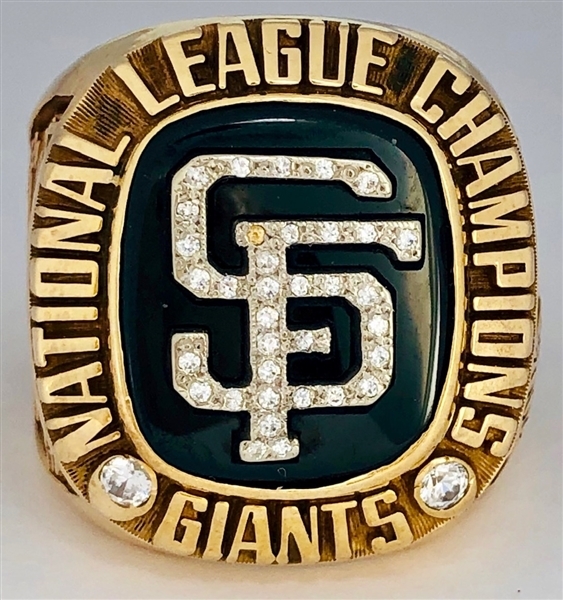 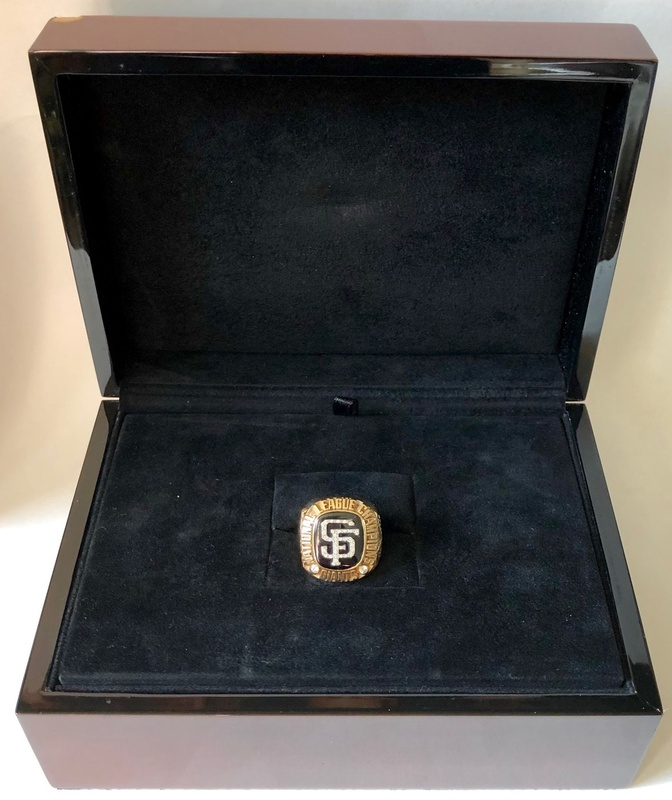 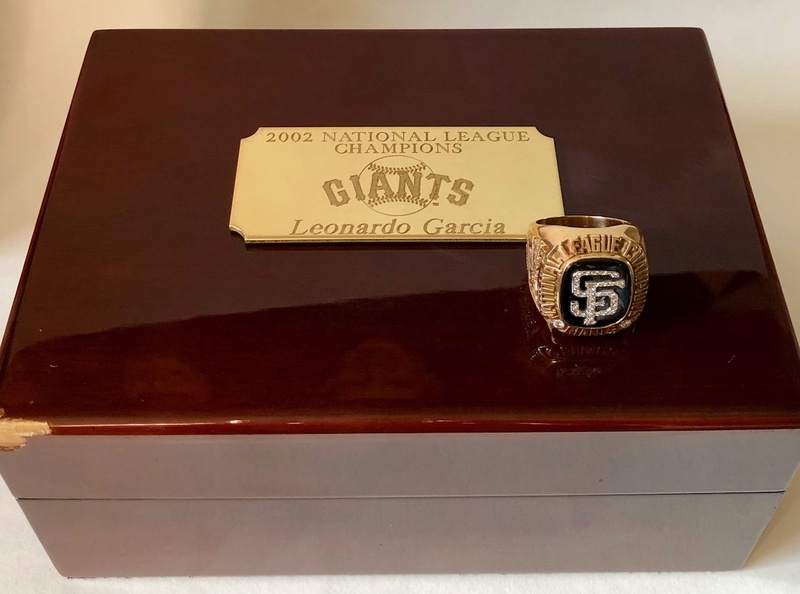 From one of the great 7-game World Series of recent memory ....This very heavy and large championship ring is the same that was issued to: Barry Bonds, Jeff Kent, Robb Nen, Benito Santiago, JT Snow, David Bell, Kenny Lofton, and all the others!! 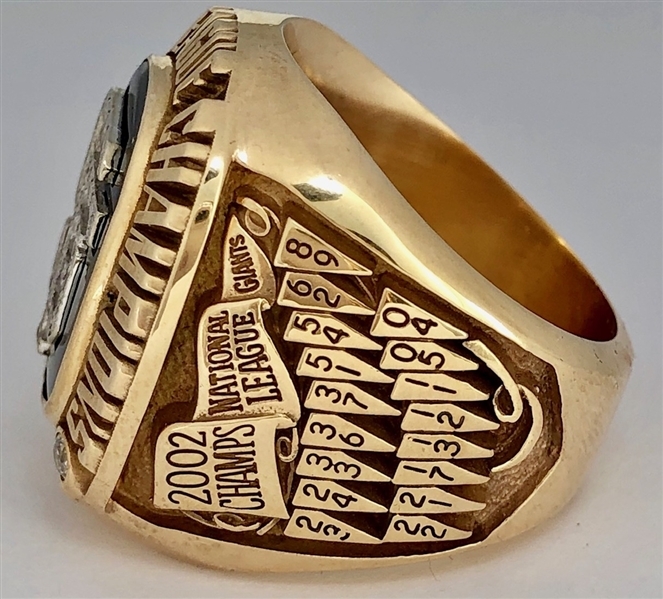 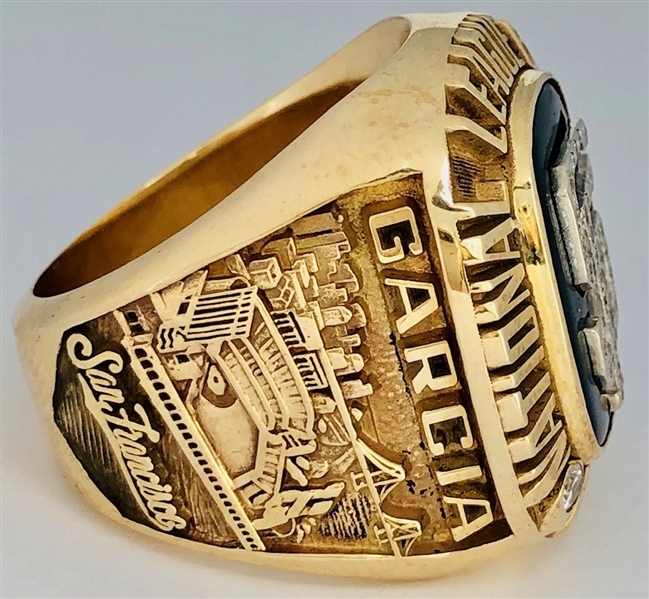 This rare, 100% Original & Genuine ring was a joint-venture made by Masters of Design & Henry Kay Jewelers, who were also designing the 2000-2002 Los Angeles Lakers rings at the time. 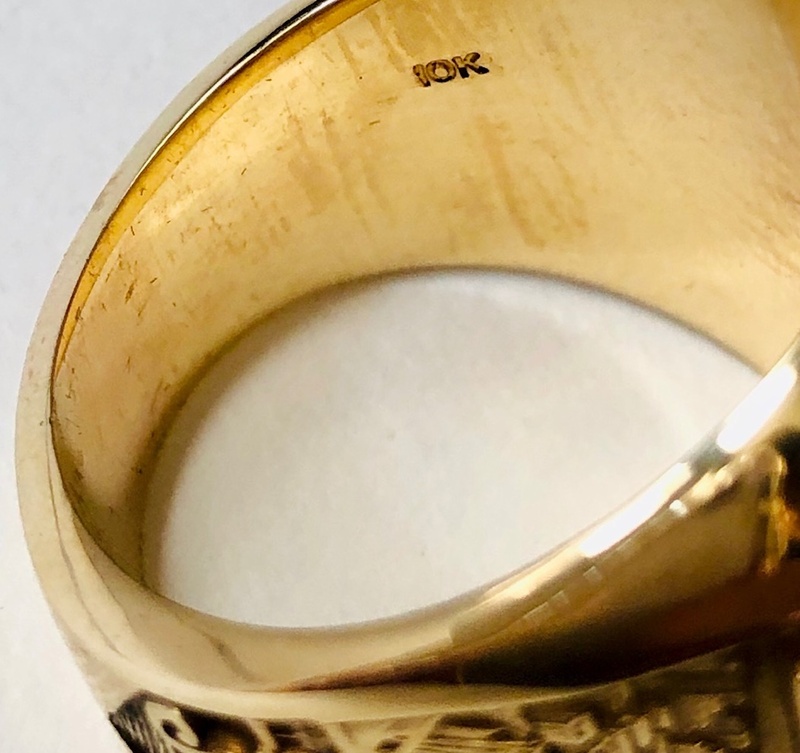 It’s approximately a Size-11 to 11.5, weighing a whopping 46.4-Grams (1.5-Troy Ounces).